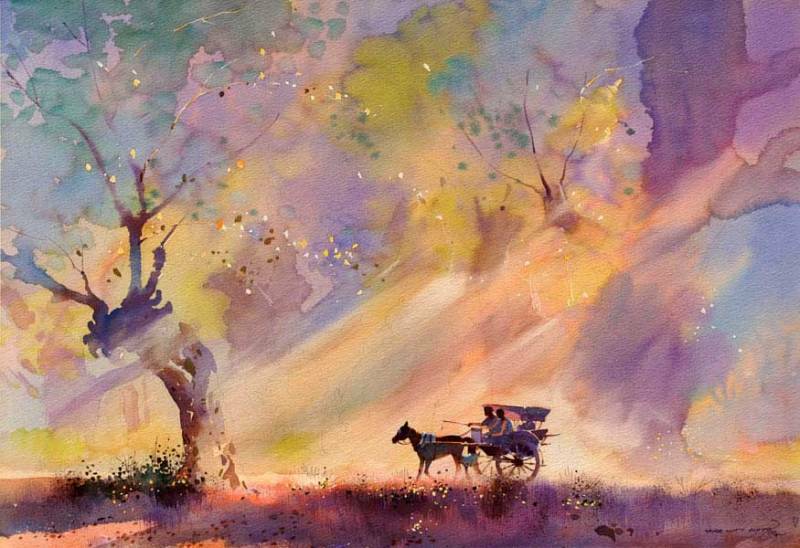 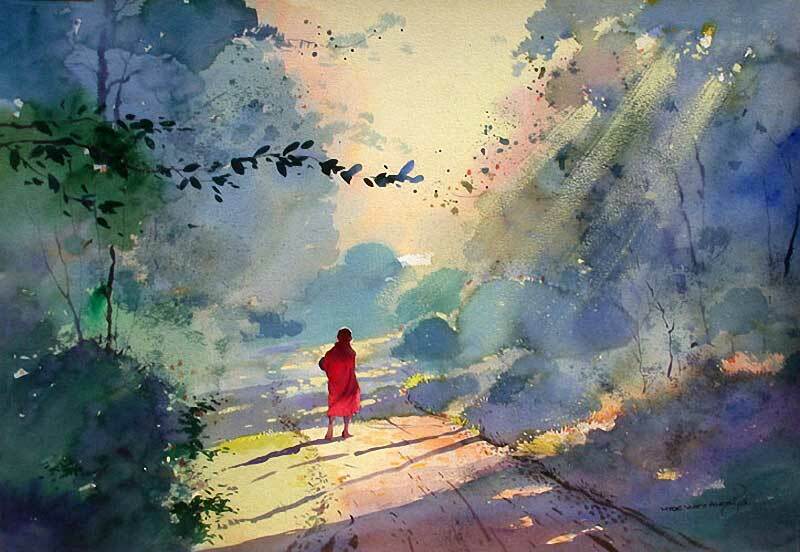 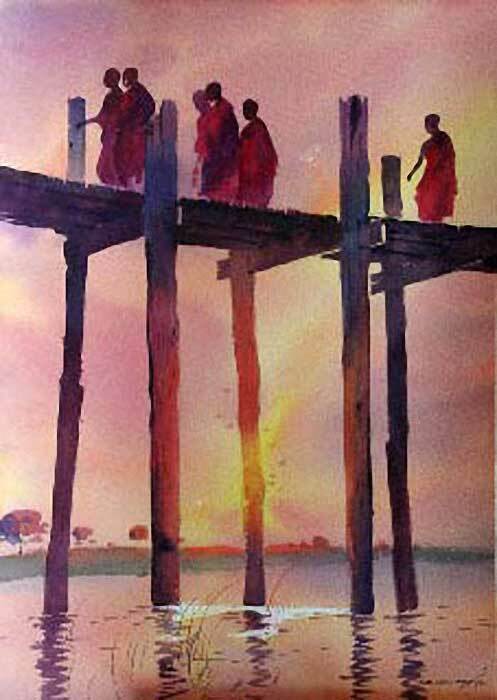 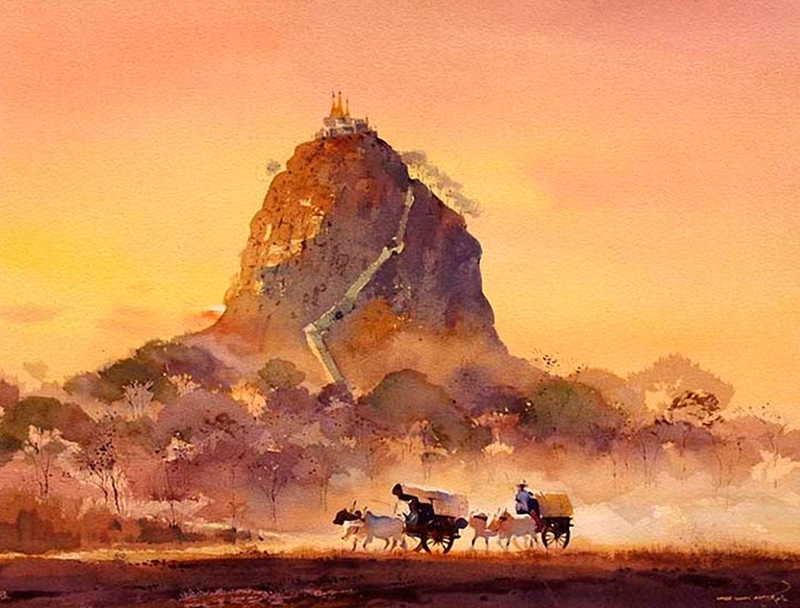 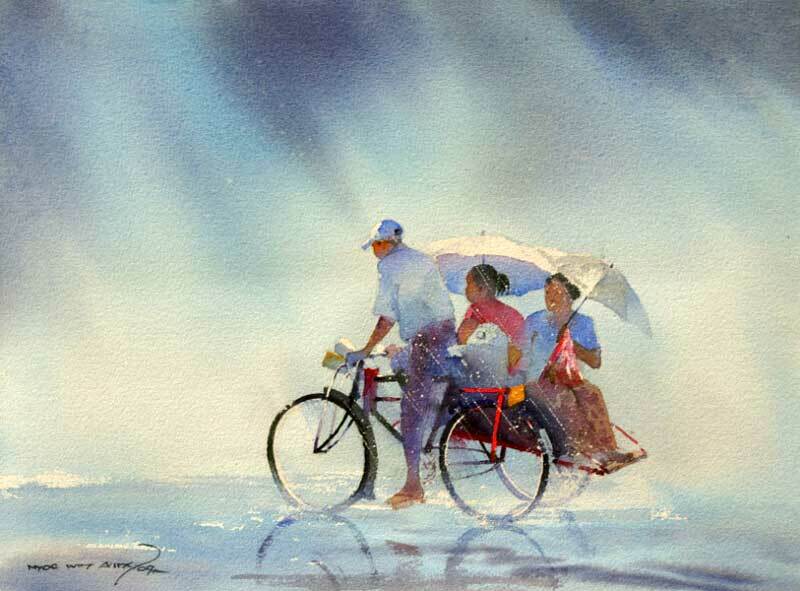 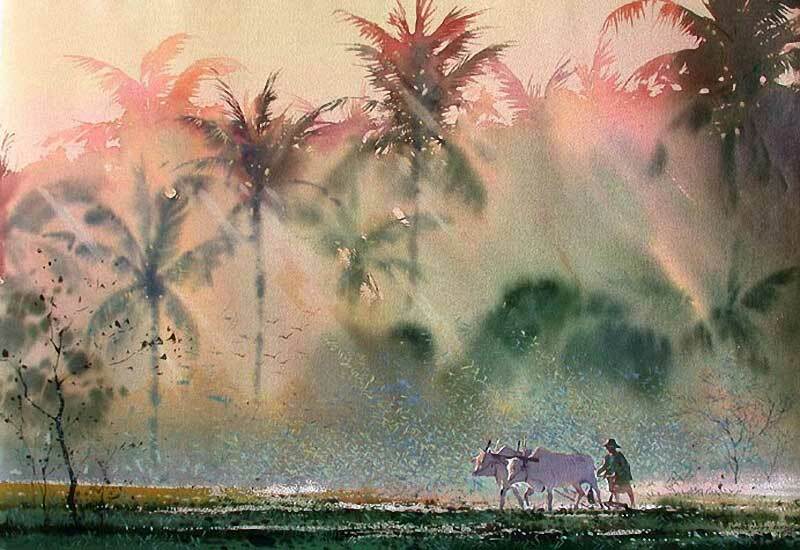 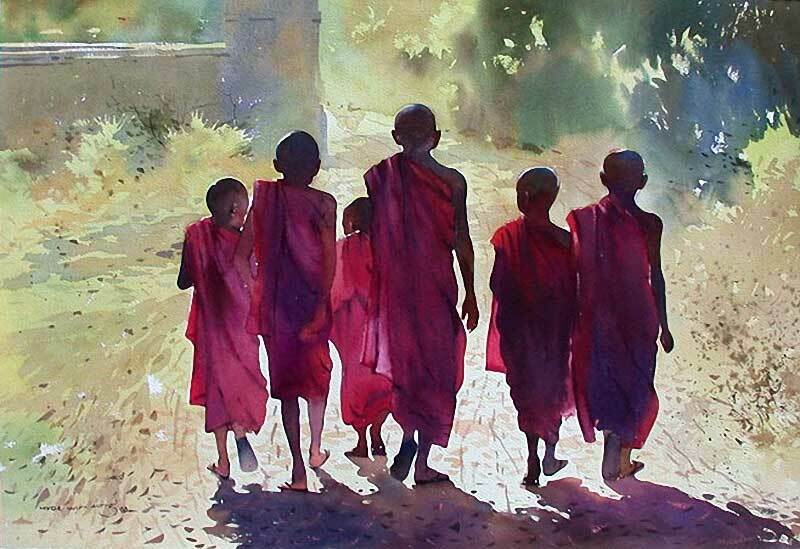 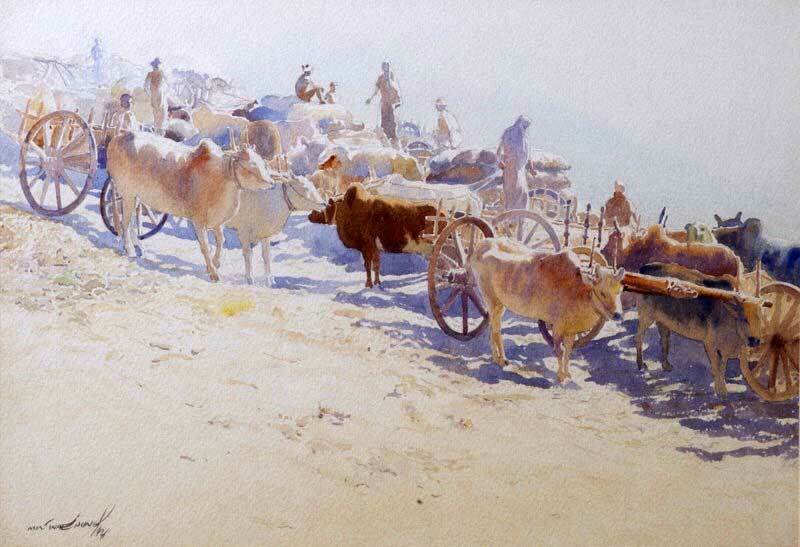 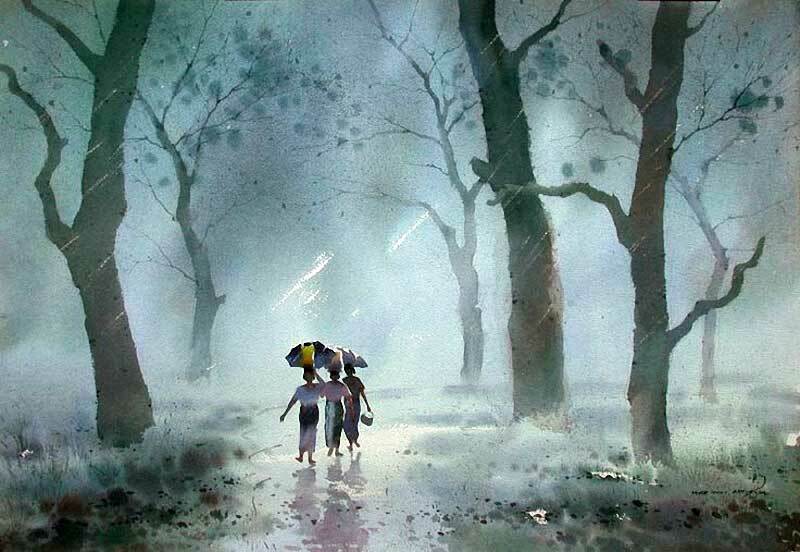 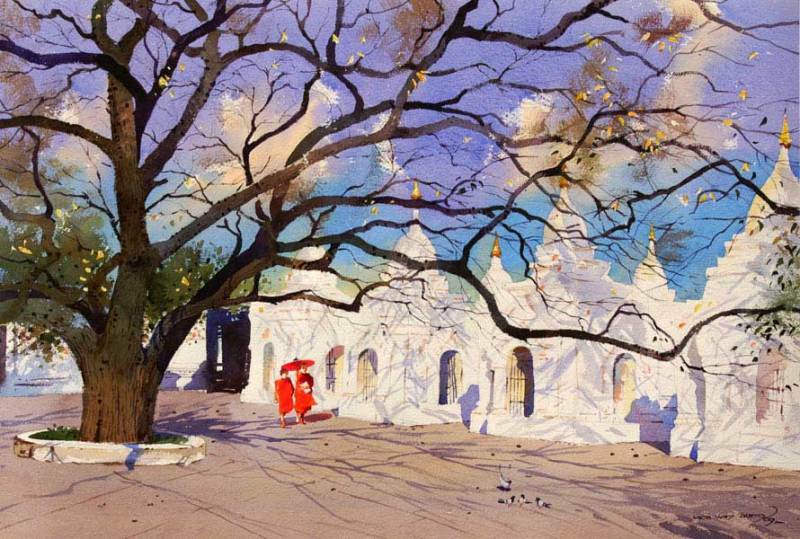 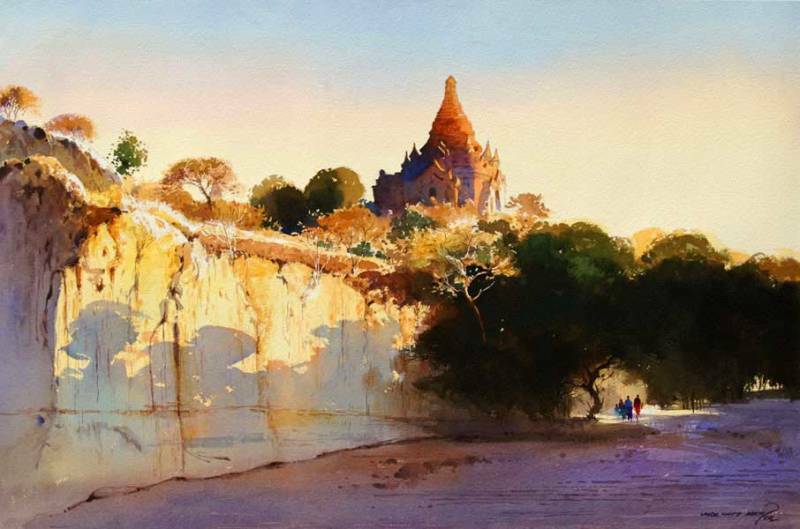 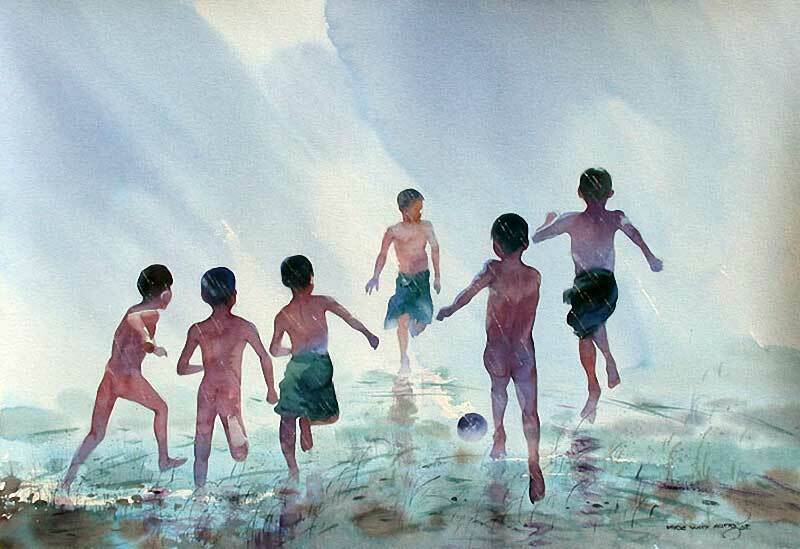 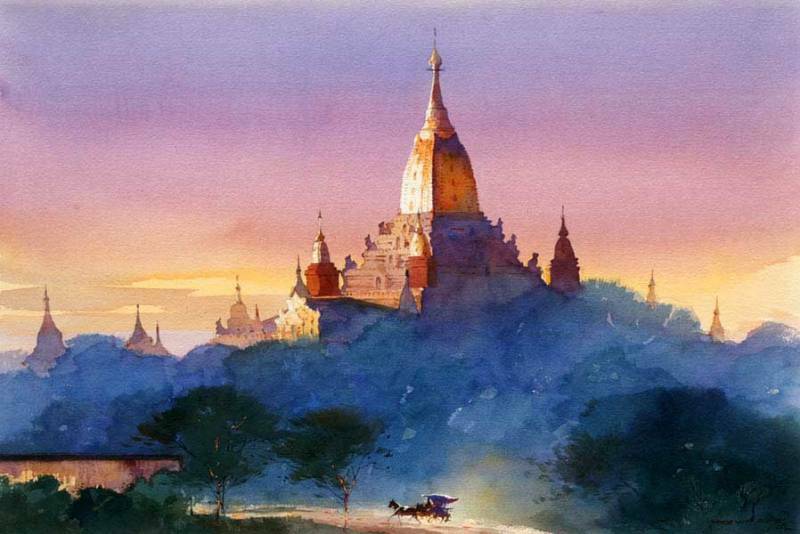 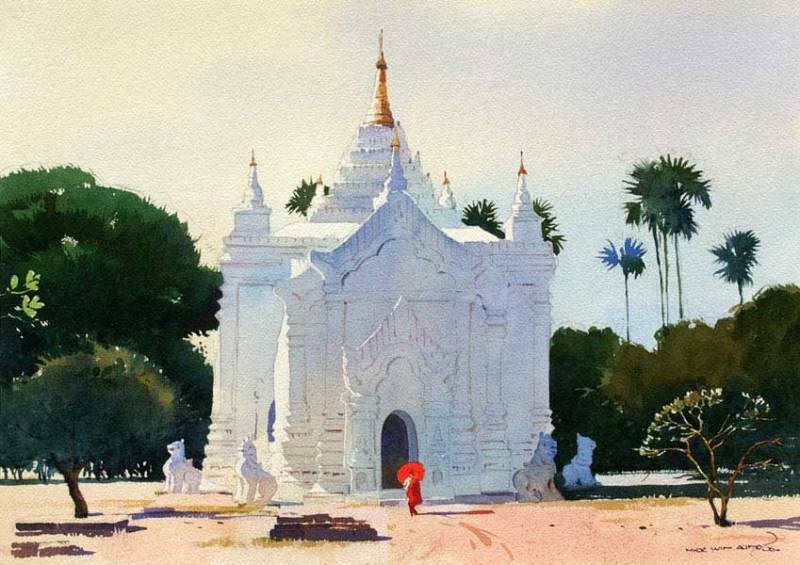 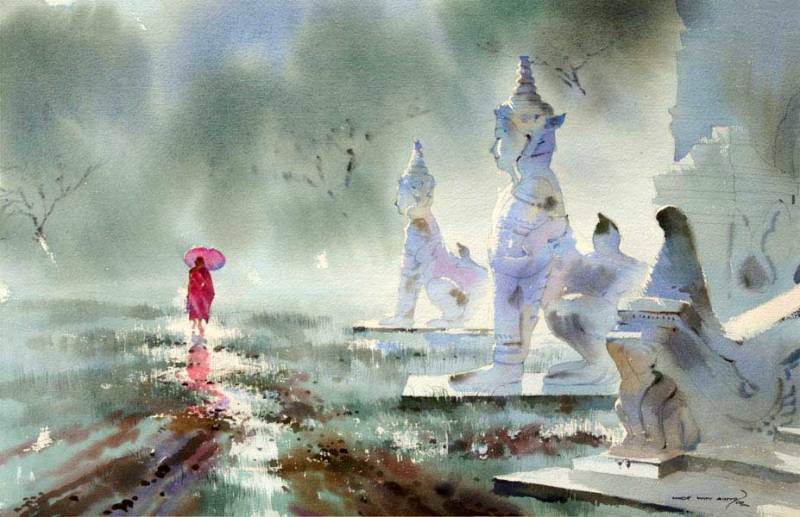 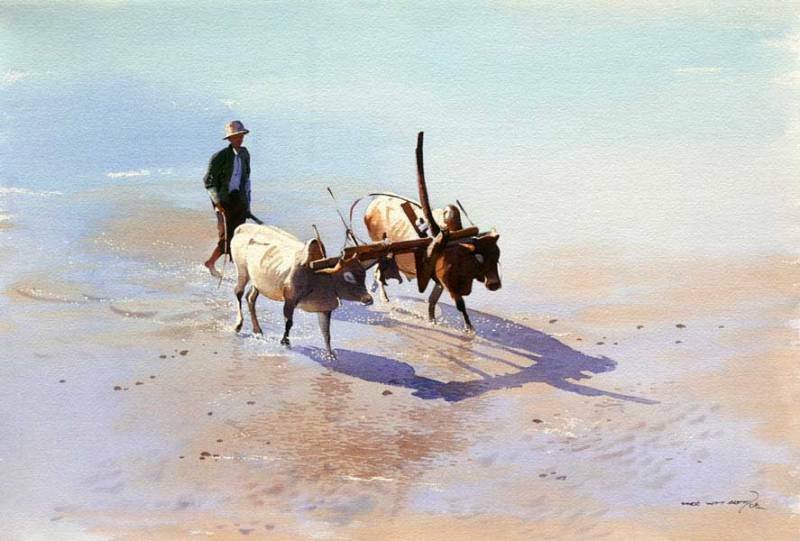 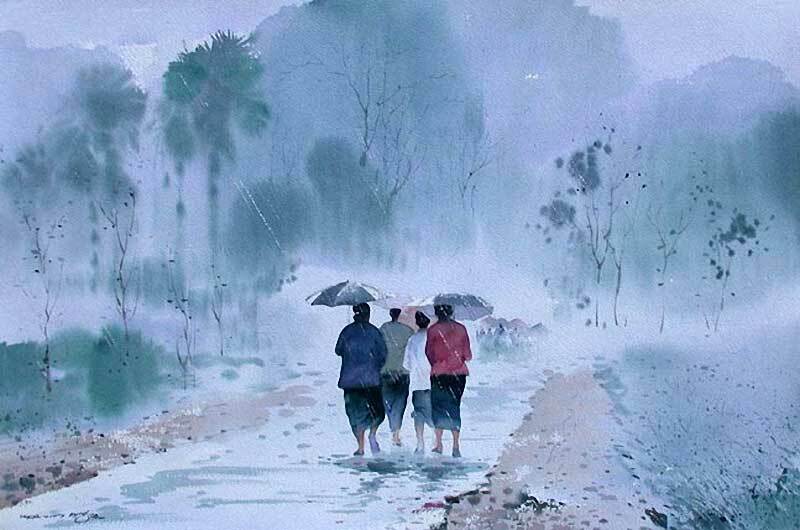 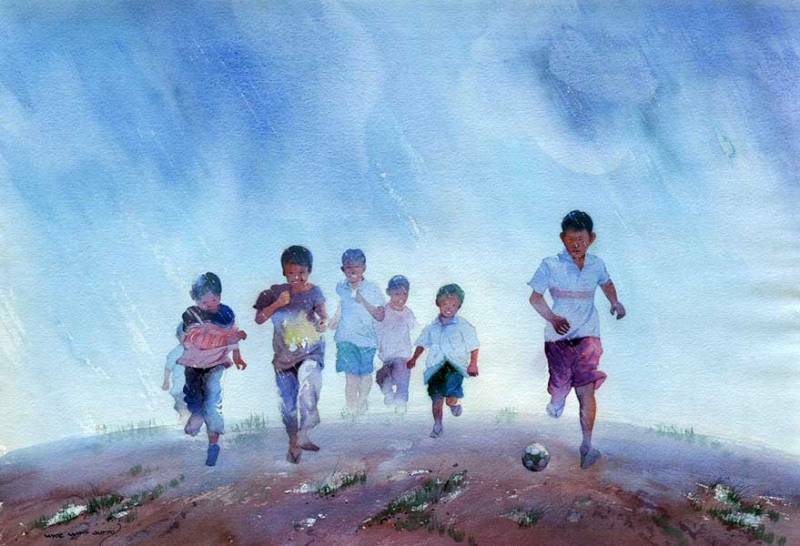 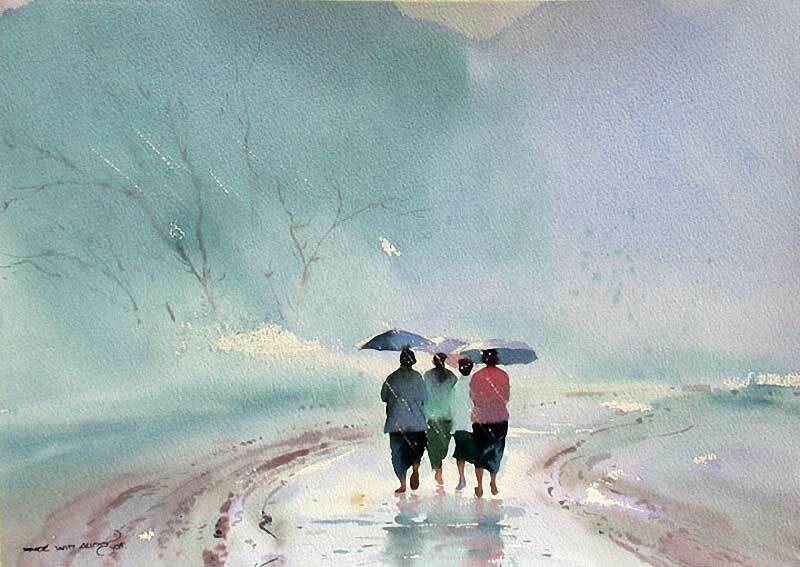 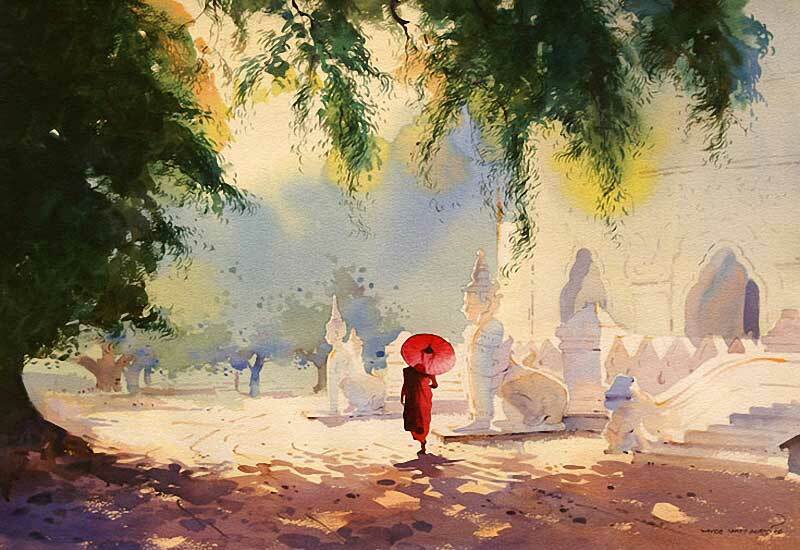 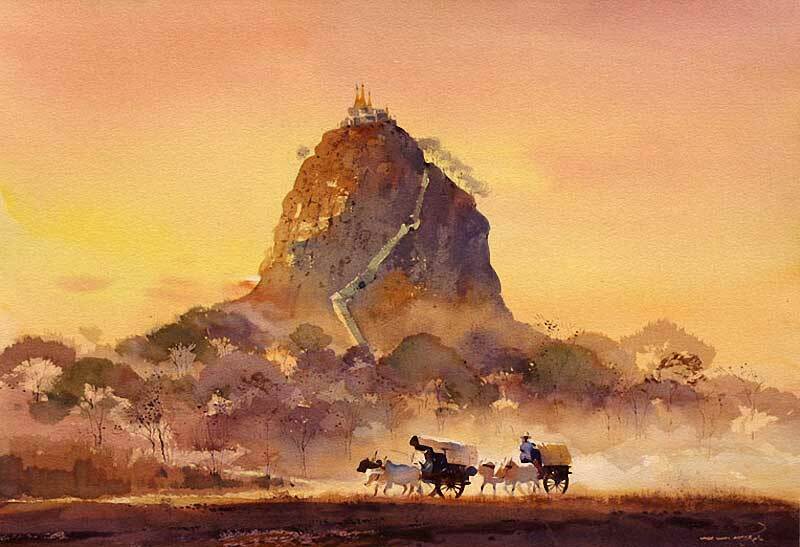 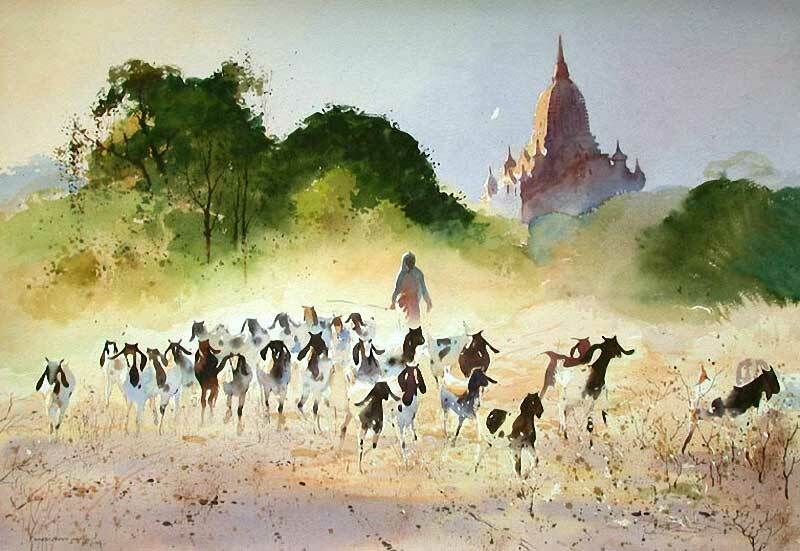 Burmese painter Myoe Win Aung was born in Yangon and studied under several masters, including U Lun Gywe. 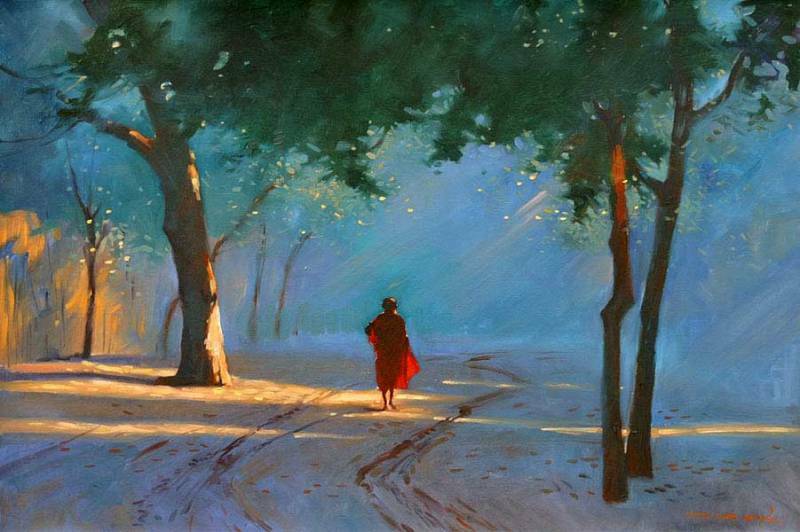 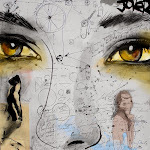 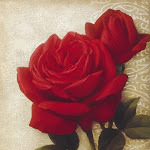 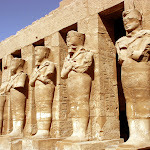 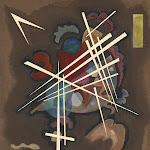 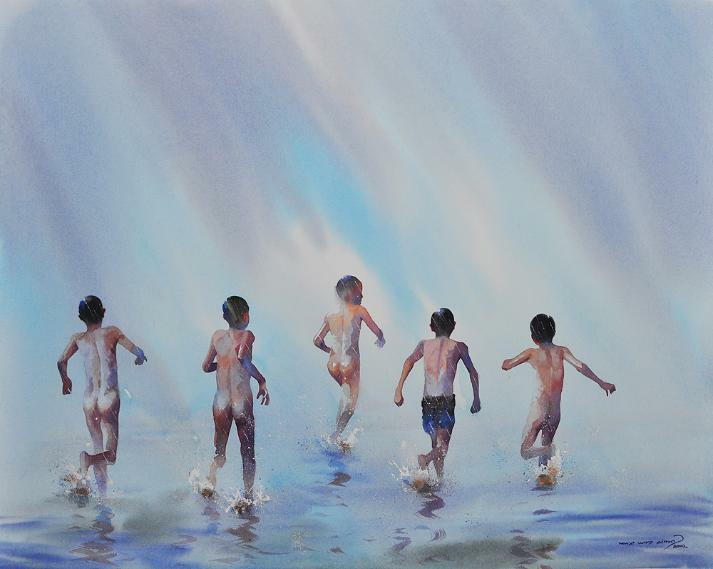 He started painting in 1989 and graduated from the State School of Fine Arts in 1992. 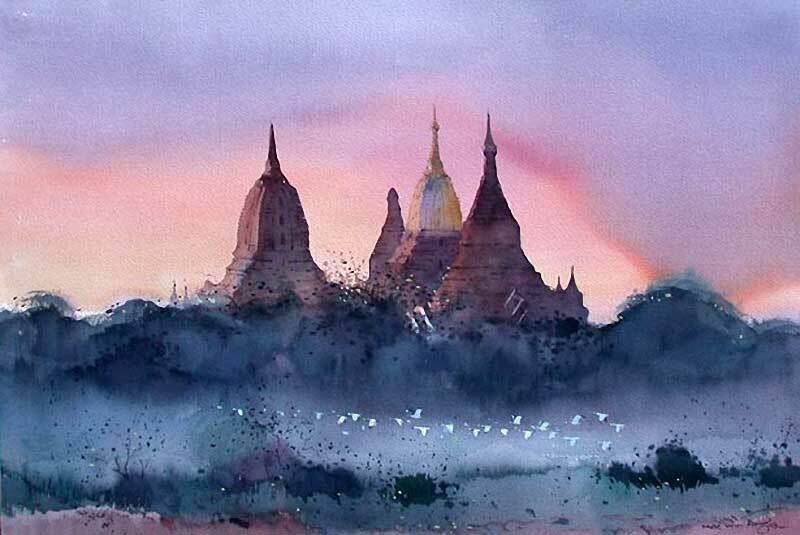 He now works as a full time artist. 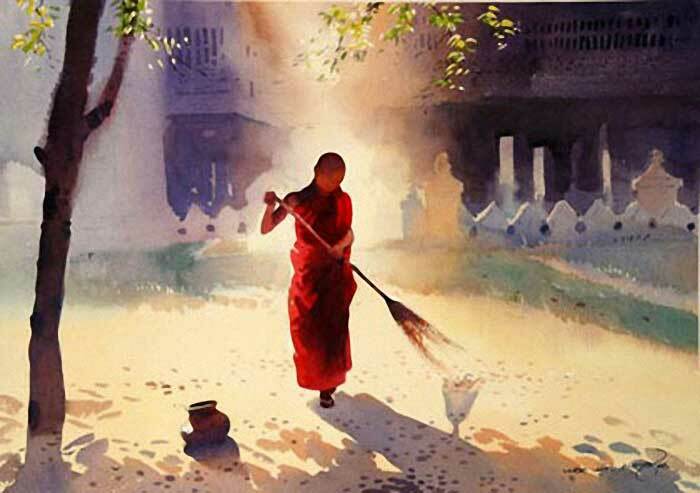 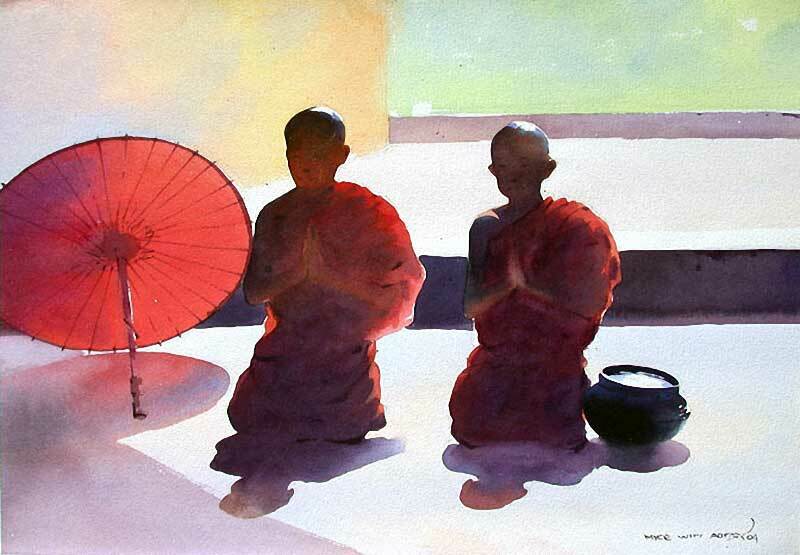 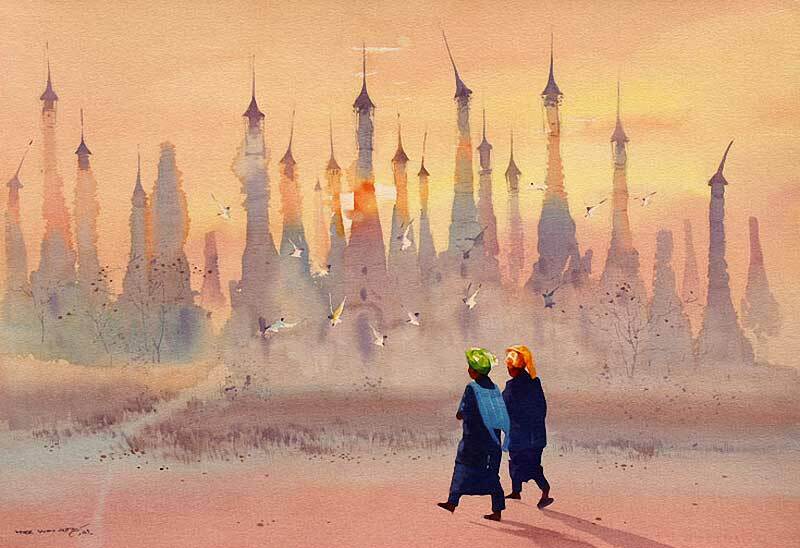 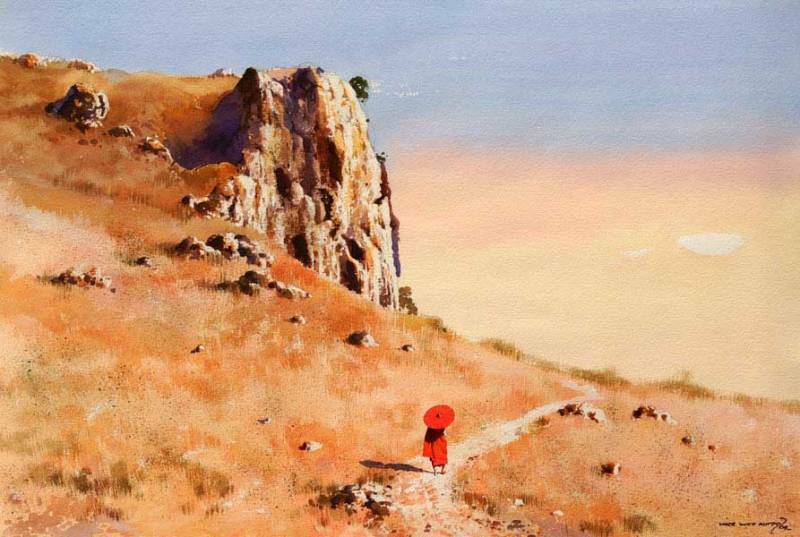 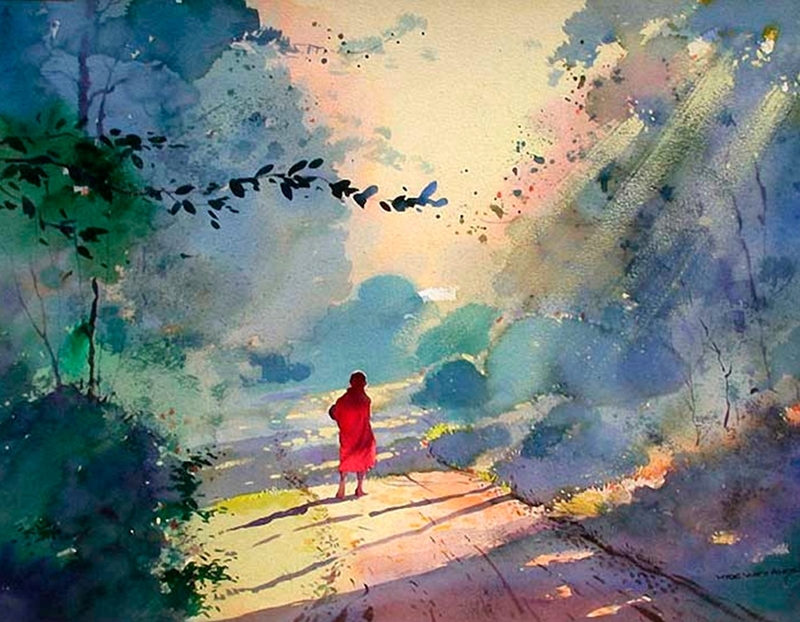 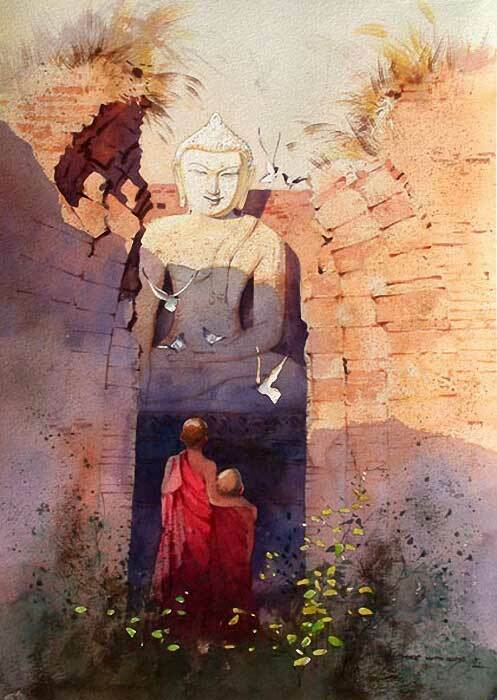 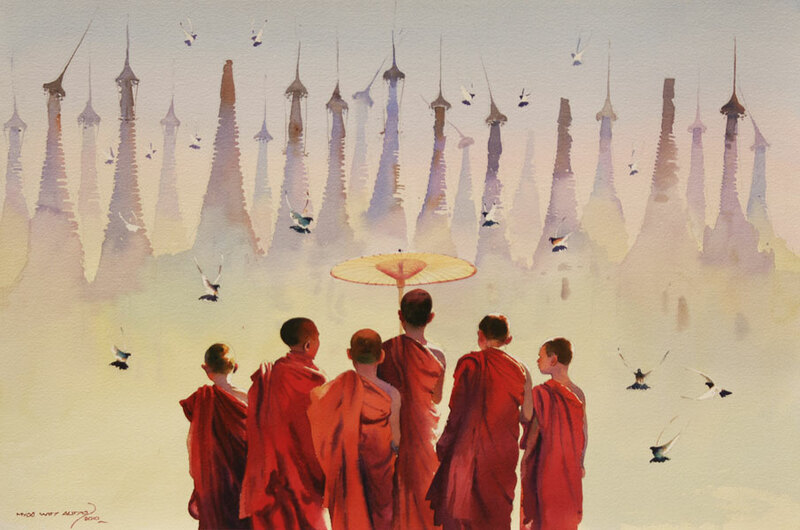 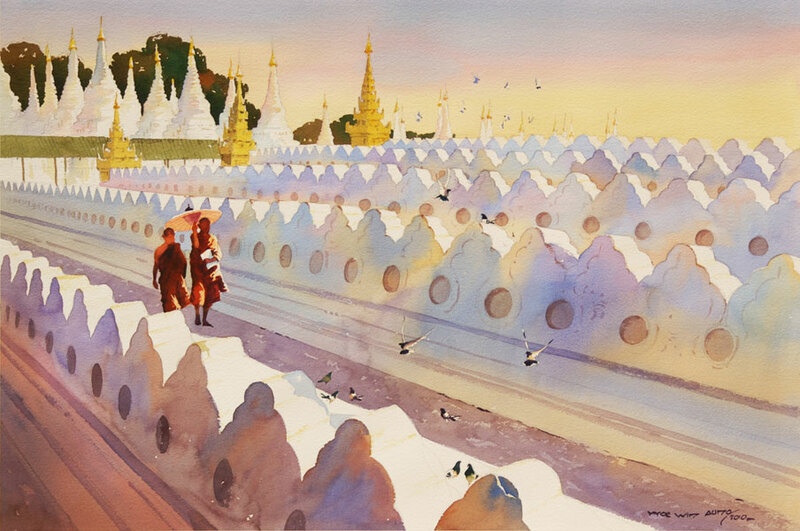 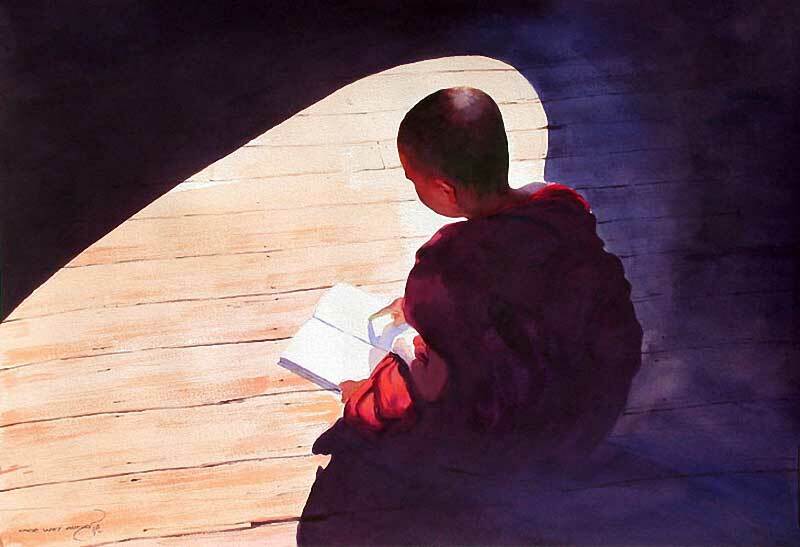 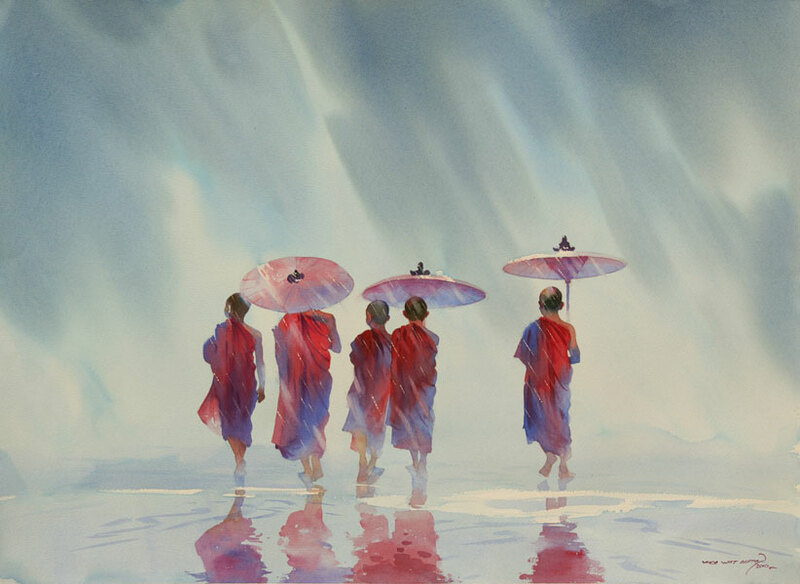 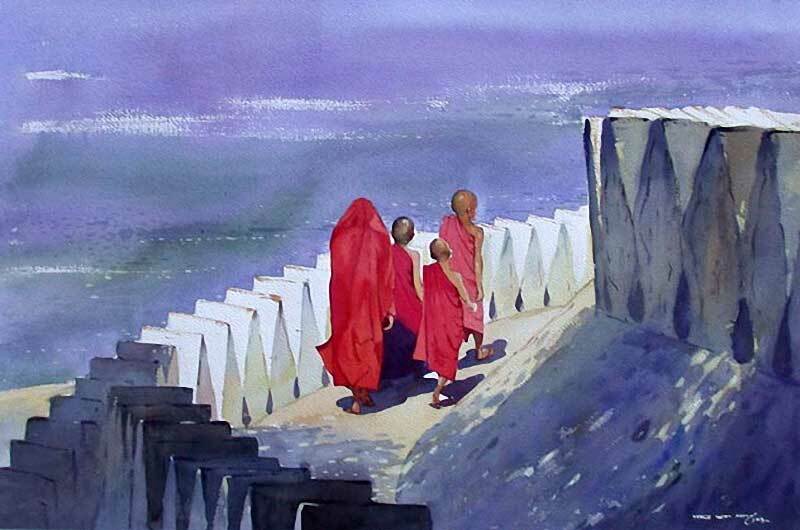 As with most painters in Burma today, religious life and Buddhism influence his artistic expression. 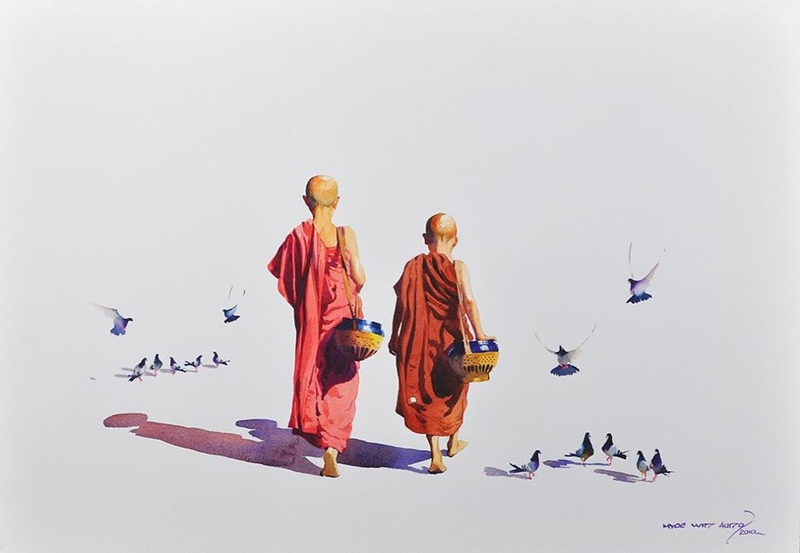 He has regular shows in Rangoon and has also exhibited in Singapore.